Middleton, WI – – Extreme Engineering Solutions (X-ES) introduces the XPedite7431, a conduction- or air-cooled 3U CompactPCI Single Board Computer (SBC) supporting 2nd and 3rd generation Intel® Core™i7 processors. 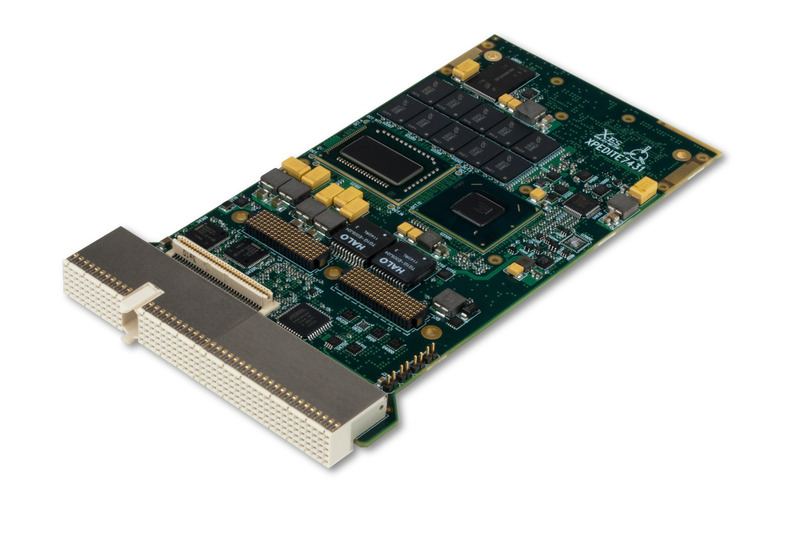 With a dual- or quad-core processor and 8 GB of memory, the XPedite7431 is an ideal platform for air-cooled industrial and communications applications, as well as deployed conduction-cooled military applications. Linux, Wind River VxWorks, and Green Hills INTEGRITY BSPs, as well as Microsoft Windows Drivers. Other RTOS solutions may be available. In addition to 3U CompactPCI, X-ES is supporting 3rd generation Intel® Core™ i7 processors across our five other industry-standard form factors: COM Express, 3U VPX, 6U VPX, 6U CompactPCI, and 6U VME. The XPedite7470 3U VPX Single Board Computer (SBC), the XCalibur4401 6U CompactPCI SBC, the XPedite7450 COM Express module, and the XPedite7431 are currently available. Please contact X-ES Sales for more information. About X-ES — Extreme Engineering Solutions, Inc. (X-ES), a 100% U.S.A. based company, designs and builds single-board computers, I/O boards, power supplies, backplanes, chassis, and system-level solutions for embedded computing customers. X-ES offers cutting-edge performance and flexibility in design, plus an unparalleled level of customer support and service. For further information on X-ES products or services, please visit our website: www.xes-inc.com or call (608) 833-1155.